The St. Paul's Choir supports the congregational singing during the 10:30 a.m. Sunday service. 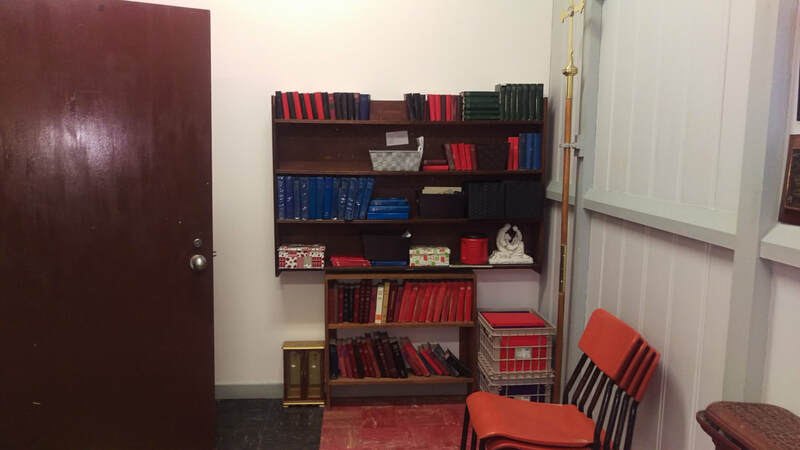 Other services include worship services at Fairmount Home, funerals, a Taize style service during Advent, Christmas Eve Communion and occasional Hymn Festivals. Anyone who enjoys singing is welcome to join the choir. It is currently a unison choir but would also welcome anyone wishing to sing harmony. Choir Practices are held the second Sunday of the month after lunch. The choir gathers at 10:15 a.m. Sunday mornings. ​The hymns are chosen from the Common Praise Hymnal and a binder of "Psalms, Hymns and Spiritual Songs." Choir gowns are provided. Installed by the firm of Casavant Fréres in 1918 (to the Glory of God in loving memory of Miss A.J. Kelly), St. Paul's organ was expanded by the builder in 1974 (to the Glory of God in memory of St. Paul's members who gave their lives in service to their country) and revoiced by Alain Ganon Pipe Organs in 2013 (to the glory of God in memory of William Neil Andre). 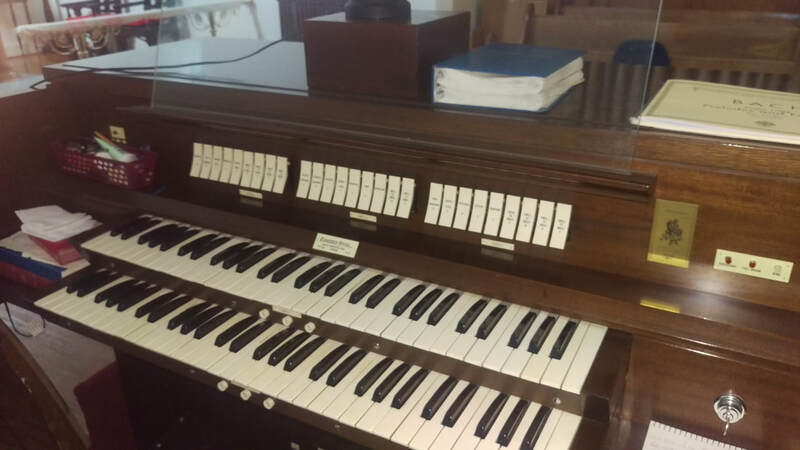 Our instrument, which comprises 860 (16 ranks of) pipes distributed among the two manuals and pedalboard, beautifully supports congregational singing, student lessons and practice, as well as the occasional recital. 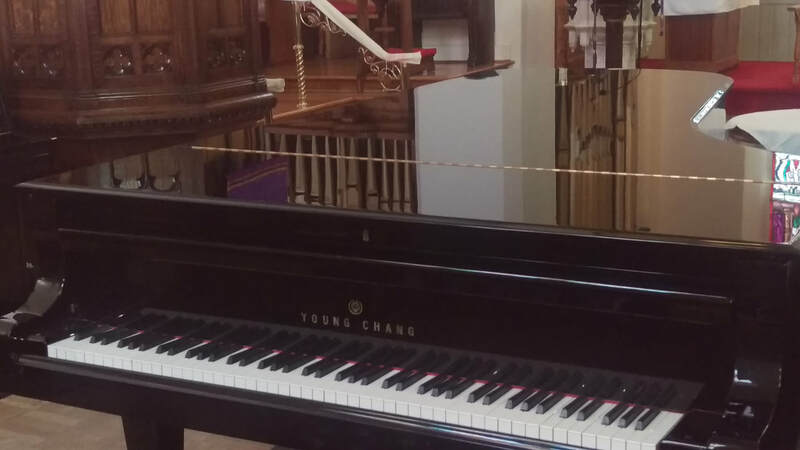 There are two pianos located in the church. 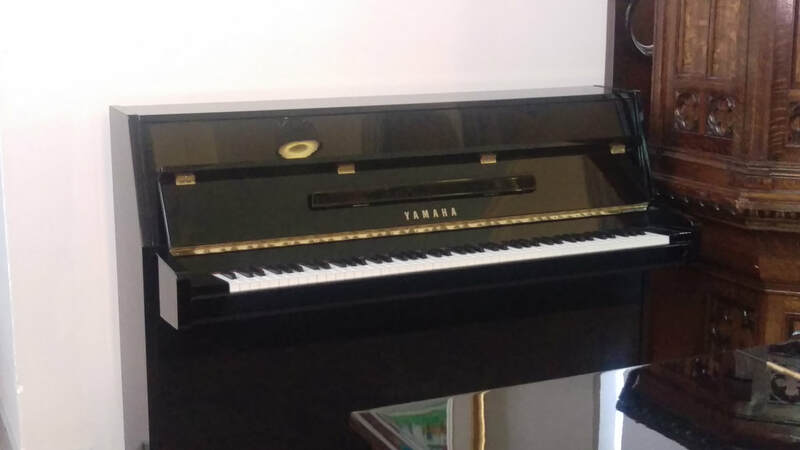 There is a Young Chang concert grand piano, and a Yamaha upright piano. 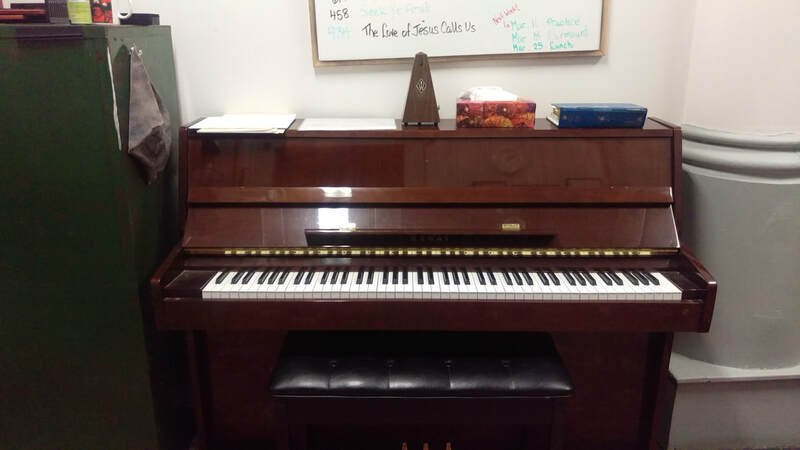 A Kawai upright piano is located in the Music Room at the back of the church. 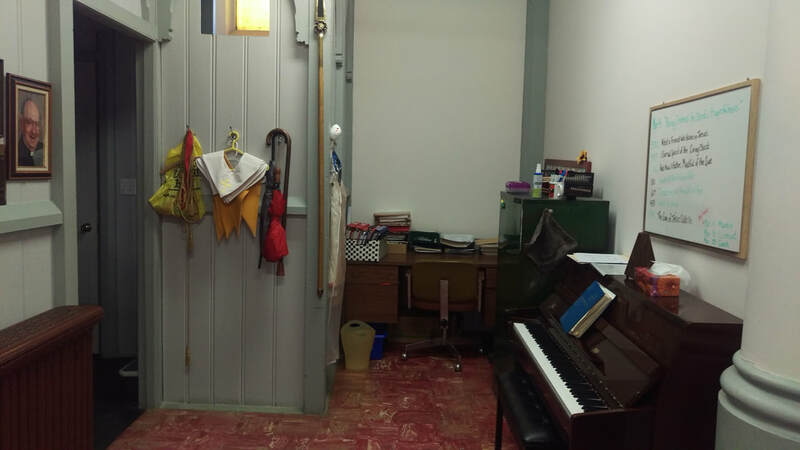 The Music Room is located inside the church, at the back of the church, on the left side.